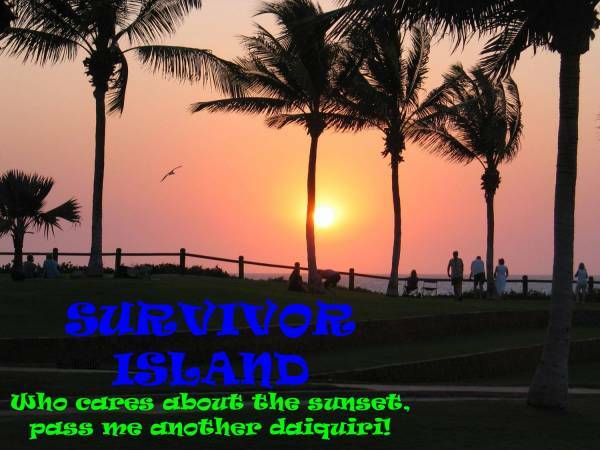 A photo I took when I was in Broome....aaahhh Survivor Island. Keep those daiquiris coming, I can feel the inspiration building!! It's not a very exciting digi try, but it's my first!! I'll put my hand up for one or two. Please. Lovely Del - I have a pic standing at the exact same spot And pass me a dacquiri too please! It looks great Del.. and congrats on "going digi"
Ah, forget the daiquiri - give me that view any day!! I'll have a daiquiri too thanks!! Great idea - I'll have one too thanks!!!! The printing directly onto the gorgeous photo has worked so well! Hehehe! That is just too funny!